As you may know, if you’ve read this post, we are in the process of giving our bathroom a mini makeover. I know. It’s taking a little while, but I’m still procrastinating over colours. At this point the bathroom suite doesn’t need updating as we did this just 6 years ago, and the white suite is still going well. However, I have been looking around for bathroom styling inspiration and love the looks from luxury bathroom retailer C.P Hart. Researching online gives me bucket loads of ideas, particularly when I’ve lots of lovely images to look through, and these are some of my favourites at the moment. Most of our own house is quite contemporary, although probably not in the truest sense. 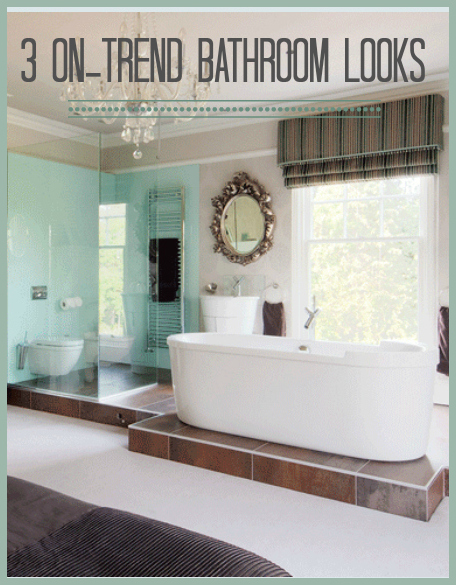 I love the idea of this bathroom, with lots of storage that creates are real minimalist look. In reality, it would be cluttered with towels and kids’ toys, but if I aim for this, then I’ll get somewhere near it. After all the bathroom has to be realistic, right? It has to lived in, and feel used, not too sterile. Living in a Victorian house means I’m always looking at period looks and designs, but one of the things I love about my own home, is the contrast between old and new. It might be a 120 year old property on the outside, and to some extent that’s obvious when you walk through the front door too, but mostly, it has a more modern, contemporary feel. 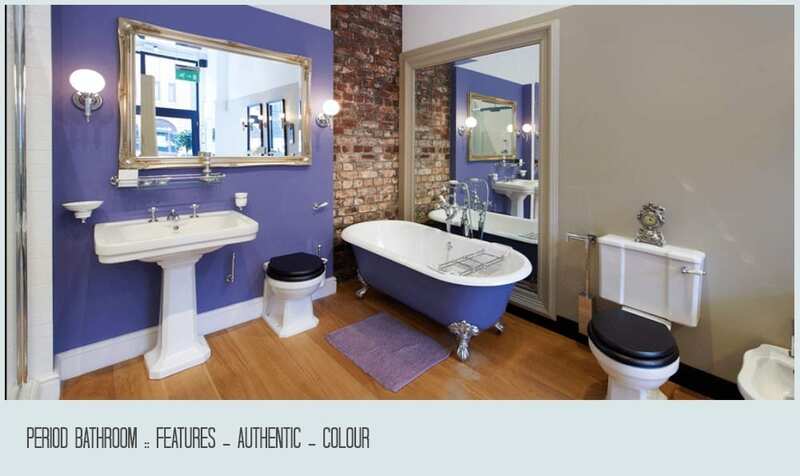 Whilst I don’t have a period style bathroom suite, installing some period features into the room (with a flash of this beautiful colour) would help the room sit well within the property. Well, I couldn’t put this post together without including something from the hotel inspiration range. 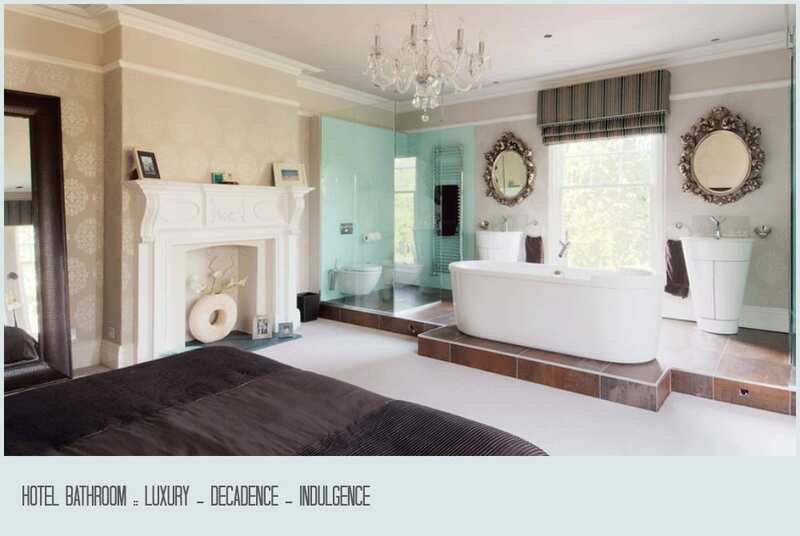 Whilst there aren’t many of us that would have a bedroom that could incorporate a bathroom like this (and maybe some of you wouldn’t like the lack of privacy either) you have to admit there is something hugely appealing about this space. Maybe I’m drawn by the symmetry, or maybe it’s the contrast of the ornate mirrors and the sleek contemporary fittings. Whatever it is, I know I want to experience this room! Do you like to look at inspiration galleries online when planning a makeover? C.P. Hart has filled me with inspiration, and as they have a design service and a contract division that works with hotels and trade spaces, there’s plenty more inspiration on their website.